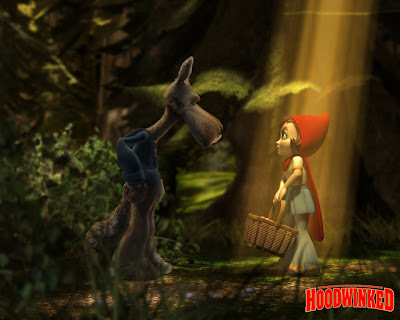 Mary Blairz: What's Happened To "Hoodwinked Too!"? 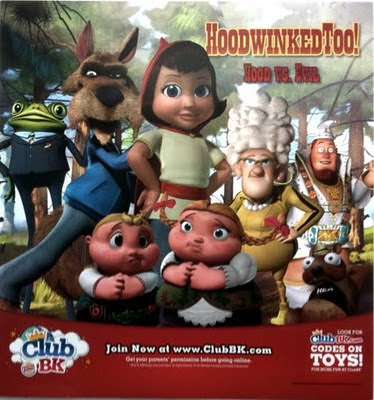 You may not have noticed, unless you were eagerly anticipating the release of this movie in mid-January, but not only has Hoodwinked Too: Hood vs Evil not hit theaters yet, it's quietly disappeared from release schedules in theaters. In fact it seems that even the creator himself, Cory Edwards, has no idea when it will now be coming out (according to his personal blog). 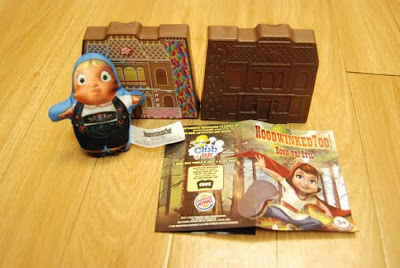 BUT that hasn't stopped Burger King from releasing the Hoodwinked Too toys on the original schedule. I was alerted to the toys via a TV ad but a visit to the website didn't have nay information. I took the plunge and walked into a Burger King last week (first time ever!) and sure enough, there were the toys on display and we got one in the kid's meal. Turns out it was the best one (the others are rather 'plas-tacky' - see images in this post) so our timing was excellent and I highly recommend grabbing one while they're out. 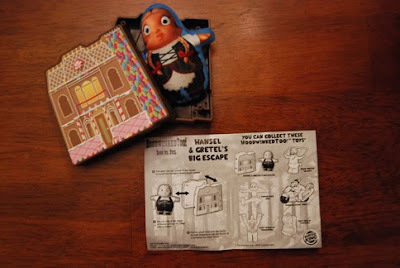 It's a little plastic gingerbread house that you open and inside is a double-sided soft toy of Hansel and Gretel. Double-sided play toys! (My just-3 yr old loves it by the way). As I haven't been able to find any photos of the product online, I've taken & uploaded photos of our prize so you can look out for it. In the meantime, with the movie being delayed till who-knows-when, those toys aren't likely to be at BK's very long. If I hear an update on the movie's release I'll be sure to let you know. Whatever the holdup is (speculation is it's the parent company & money, rather than anything to do with the movie's production, so even if it doesn't come to theaters - which would be a real shame) it should be available on DVD sometime in the future.